Ed Eicker, music director at a Catholic church just north of Chicago, says it’s like having a whole orchestra at your fingertips. He’s describing the glorious orchestral sounds of the 1928 Casavant Pipe Organ that inspired and exhilarated thousands of Sackville churchgoers, townsfolk and tourists for more than eight decades. 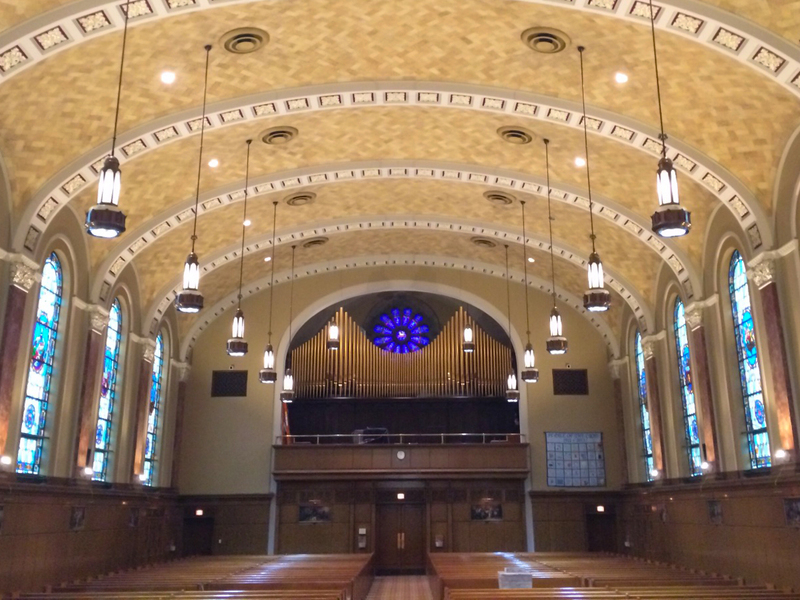 Describing it as “literally a gift from God,” Eicker said that installation of the massive, 1,952-pipe organ from Sackville is in its final stages at St. Paul of the Cross Catholic Church in suburban Park Ridge, Illinois. 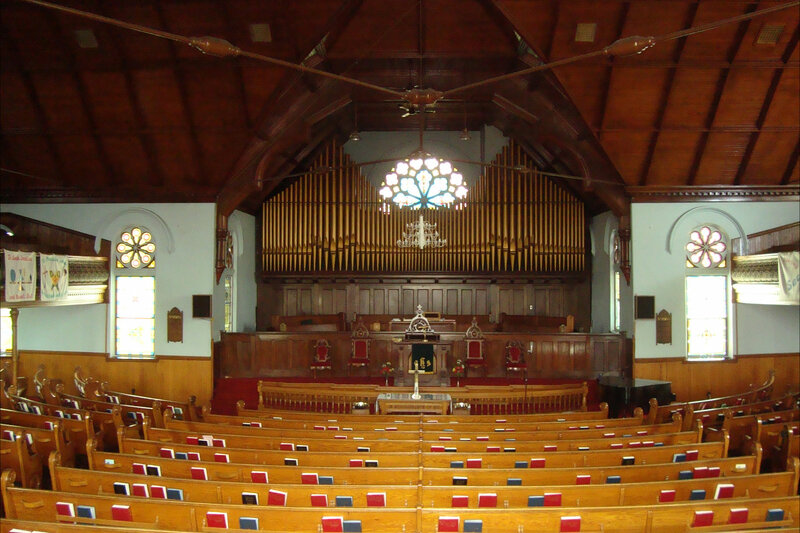 “I do see this as a very good news story,” says Robert Summerby-Murray, the former Mount Allison University professor who played a key role in saving the organ from the heavy machines that demolished the historic Sackville United Church in September 2015. While he acknowledges his disappointment at not being able to keep the heritage organ in this region, Summerby-Murray says he’s glad it has a new life. “A valuable instrument was rescued and will sound again and be played again and I think that’s a very positive thing,” he adds. Summerby-Murray, who is now President of Saint Mary’s University in Halifax, says he began talking to property developer John Lafford about saving the organ in June 2014. Lafford had bought the church building two years earlier. “I have a great relationship with John. He’s actually a former student of mine when I was at Mt. A.,” he says, suggesting that Lafford was feeling considerable heat back then as the prospect of church demolition loomed. “It was very clear as well that he was under a lot of political pressure in the town to come up with something as an alternative to destroying the building,” Summerby-Murray says. He adds that saving the organ and incorporating some part of the church in a new building on the site were ways in which Lafford could show he recognized the church’s heritage value. In August 2014, John Lafford applied to the Sackville Heritage Board for a permit to demolish the church. Former member Azadeh Joulaie says the board felt that if the church itself couldn’t be saved, there should be a salvage plan in place for key artifacts including the organ. In October 2014, the Heritage Board received a letter from Summerby-Murray assuring members that he and Lafford intended to save the organ, but Joulaie says board members still worried about the fate of other heritage elements including the four-metre, “rose” stained glass windows that were a key feature of the building. In the seven months it took to issue the demolition permit, Joulaie says board members felt isolated and blamed by town councillors, senior staff and others in the community for needlessly obstructing demolition. In the meantime, Summerby-Murray was searching for some place to store the organ once it was removed from the church. The Heritage Board issued the demolition permit in March 2015 and after the citizen’s group SPLASH failed to overturn it, Summerby-Murray and a small team from the Nova Scotia Organ Rescue Project began removing organ pipework. At first, Casavant Frères, the famed organ builders in Quebec, said they weren’t interested in taking it. But by June 2015, the company had finally agreed to complete the mammoth task of dismantling the organ, loading it onto a tractor trailer and hauling it to Saint-Hyacinthe for restoration and storage. Unfortunately, however, three of the four uniquely beautiful “rose” windows were smashed as the church came down. Lafford says there was “quite a bit of rot” on them and “structurally it was just too dangerous” to try to salvage them. For former Heritage Board member Azadeh Joulaie the loss of those windows is tragic, but at least the old organ will continue to speak. “It makes me very happy that somebody understands the value of this piece of art and can use it,” she says. 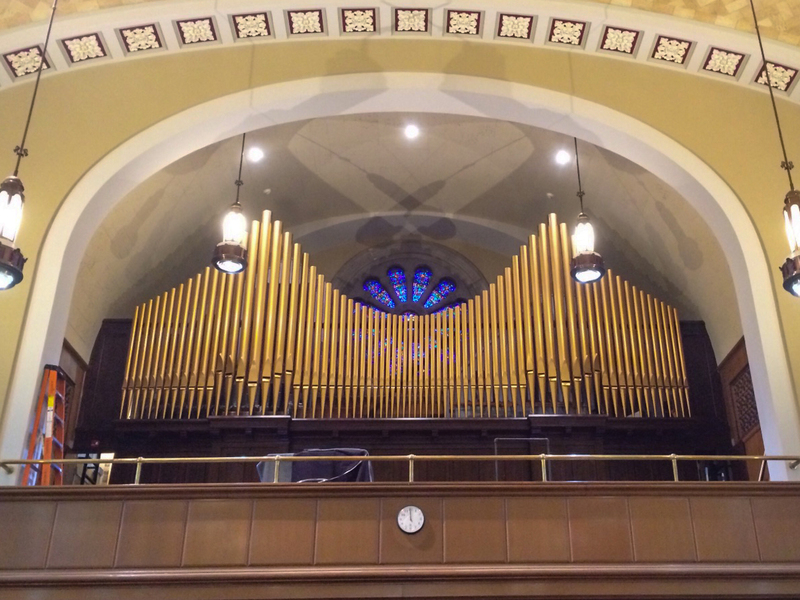 Meantime, Ed Eicker told CBC that his church in Park Ridge, Illinois decided to replace its worn out organ with the one from Sackville after first learning in April 2015 that this “beautiful organ” would be available from Casavant Frères in Saint-Hyacinthe. It’s costing St. Paul of the Cross about $650,000 for the organ restoration and installation plus nearly $250,000 for such things as improvements to the choir loft and the electrical system. Eicker acknowledges that close to $900,000 is a lot of money, but he suggests it’s well worth it. For John Lafford, the story of Sackville’s Casavant organ has a happy ending too. This entry was posted in Sackville United Church, Town of Sackville and tagged Azadeh Joulaie, Casavant organ, Ed Eicker, John Lafford, Robert Summerby-Murray, Sackville United Church, St. Paul of the Cross Catholic Church. Bookmark the permalink. Beautiful to see this story… and the respect for preserving what is beautiful and good in our society.. it’s a pity the church couldn’t have been preserved with loving hands and creative minds here in Sackville but it’s a good example of priorities in this town .. as I have said before .. the town wastes a lot of money … the university should have stepped up to preserve the landmark.. they have extremely deep pockets. What a heart-lifting story. There are some things in life that are irreplaceable; obviously this organ is one of them. I regret I never did hear it played in its original home here in Sackville and thank everyone who worked so hard to give it a new home. Glorious music will rise to the heavens again!